Home HEALTH DOCTOR PROFILES Lena Al-Dujaili, M.D. 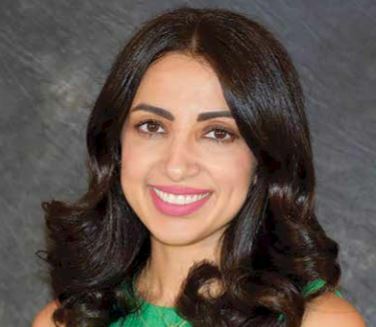 The newest member of the LSU Healthcare Network physician team, Dr. Lena Al-Dujaili, just wrapped up her fellowship in glaucoma and anterior segment surgery last month. One huge advantage to seeing a new glaucoma surgeon is that the field of ophthalmic surgery is rapidly evolving. Dr. Al-Dujaili is experienced in new micro-invasive glaucoma surgeries (MIG) that weren’t even being taught five years ago. Recovery from a traditional glaucoma surgery can take up to two months, but, with MIG, the improvement is usually within a day to a week later. “It’s a huge difference in vision recovery,” she says. Not everyone qualifies for MIG, she says, but for the mild to moderate glaucoma sufferers who do, the surgery has been a big relief. At the LSU Eye Center, Dr. Al-Dujaili joins program chairman Jayne Weiss, M.D. ; retina specialist Maria Reinoso, M.D. ; cornea specialist Maria Bernal, M.D. ; general ophthalmologists Lisa Dang, M.D., and Candace Collins, M.D. ; and ocuplastics specialist, Michael Worley, M.D., among others. She knows she will feel right at home with the group, which has been quite welcoming. 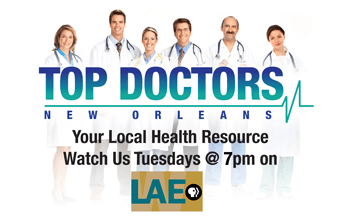 Dr. Al-Dujaili’s glaucoma focus is in high demand for New Orleans (and the region) due to the aging population and the higher incidence of the disease in Hispanic and African American populations. She said that during her residency at LSU, she saw the need, especially among the under- and uninsured. It motivated her to want to help and she will now be spending three days per month at University Medical Center and two days per month at Our Lady of the Lake in Baton Rouge training residents and offering surgery for that population. She is one of only two local glaucoma physicians willing to do so. Two other motivators were her parents. Her father had corneal transplants when she was a child and her mother had leukemia. “I originally thought I was going in to medicine to practice oncology,” she says. Either way, it was less about the career and more about helping others. On high school career day: “When I had to go shadow someone, I automatically picked medicine,” she says. Patient care strong suit: “I’m very outgoing, and what I’m going to try to do for best patient care is listen to the patient to see what issues and needs they have and offer the best treatment for their eye condition,” Dr. Al-Dujaili says.